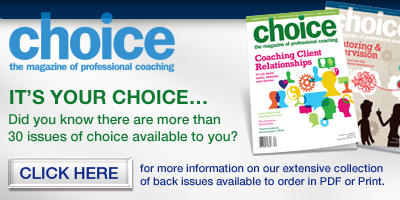 Expert Series: Results from the Annual Executive Coaching Survey, Part 2 of 4, Survey SAYS! Home » Blog » Expert Series: Results from the Annual Executive Coaching Survey, Part 2 of 4, Survey SAYS! Which approach did the 2017 Executive Coaching Survey find is most widely used? Although it’s not an either-or situation, more than 75% of coaches work with strengths rather than weaknesses. Many coaches use some aspects of both approaches. There’s a trend toward strengths as the basis of coaching, as we see from the last three years of data. As we discussed in the first part of this series, there are three main reasons coaches are hired: 1) to solve specific behavioral problems, 2) to assist in transition, and 3) to develop ‘up and coming’ leaders. There’s no rule or standard in place to ensure one type of coach will always be assigned to one type of client. In fact, it turns out that both types of coaches work across the spectrum. Coaches who work with strengths are not necessarily working in a proactive leadership development scenario. At times, they work with leaders’ problem behaviors. Similarly, coaches who focus on weaknesses do not work exclusively with clients who have a problem to solve. The data actually shows that strengths and deficits coaches are equally likely to work on proactive leadership development. Here’s what we found in our 2017 Survey. How does this information relate to your marketing and/or service to clients? In our next exclusive report from the Executive Coaching survey, we look at the results to determine how to measure benefits.